Attention, all single Malaysian ladies born between 1991 and 1996. If you have yet to get your HPV vaccination done, now may be a good time do so... FOR FREE! 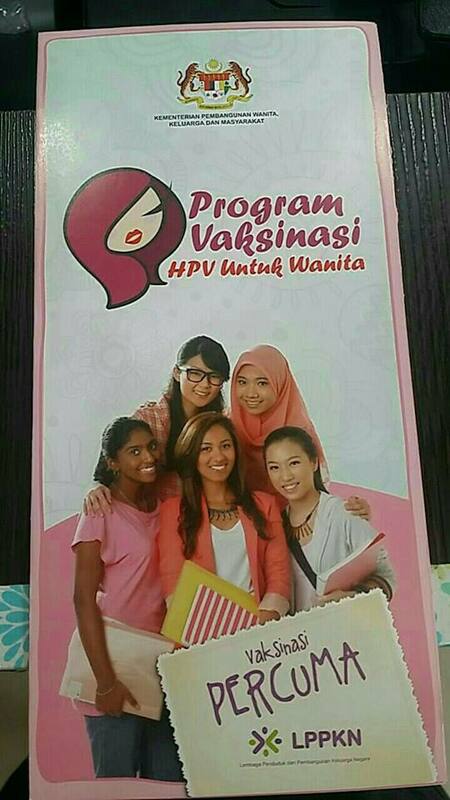 In line with its annual free HPV vaccination programme, the National Population and Family Board (LPPKN) announced that the 2018 edition is now available for unmarried women born in 1991 to 1996 (22 to 27 years of age in 2018), as long as they are Malaysian citizens or a permanent residents of Malaysia. You can sign up for the vaccination programme in any Klinik Nur Sejahtera LPPKN nationwide. 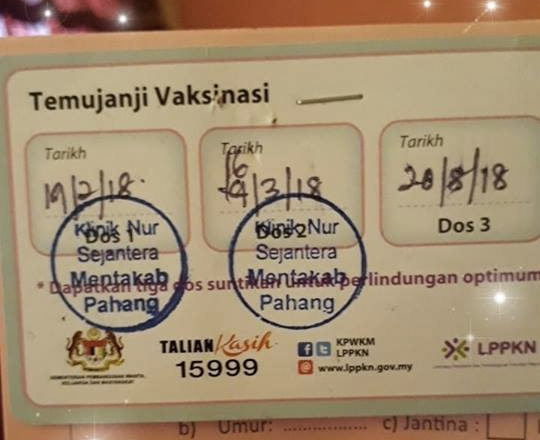 If you're already married or are born before 1991, you can still get vaccinated at RM540 for the entire course of vaccines (RM180 per shot). 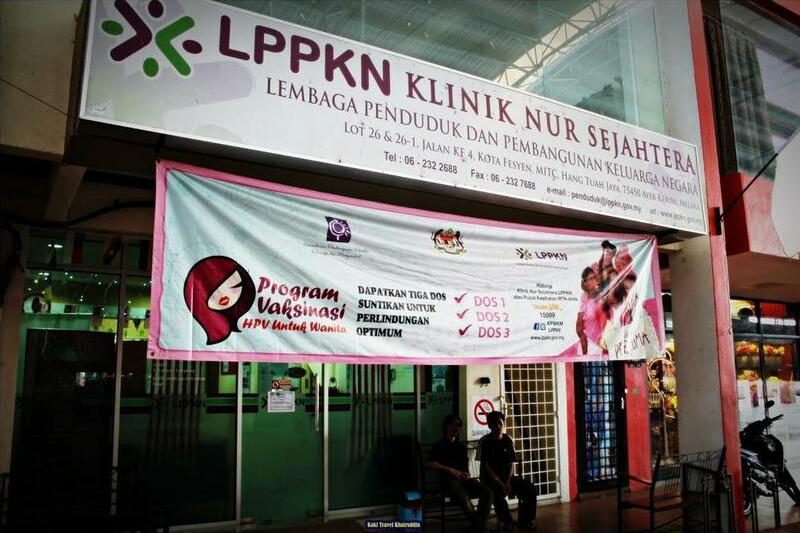 - You may be required to pay RM15 for a quick medical check-up at the clinic. This time around, however, the free vaccines are only allocated for 27,000 women on a first come, first served basis. Each clinic also has its own stock quota of vaccines. To avoid disappointment, do call up your nearest Klinik Nur Sejahtera to check on stock availability as well as to make an appointment, if needed. You can find look up their contact information here. That is because most people have no idea they have been infected, as they never develop symptoms nor have health problems and in 9 out of 10 infected people, the infection tends to go away by themselves within two years﻿. 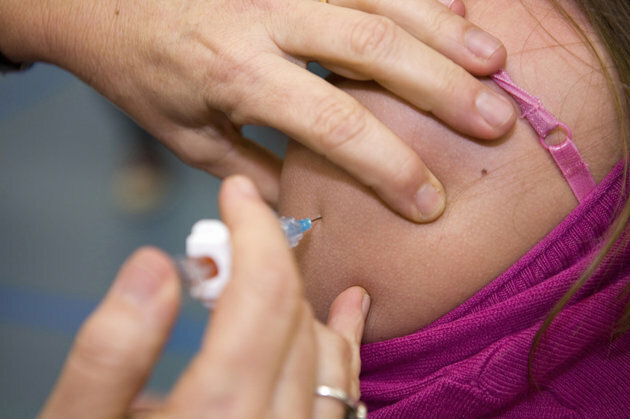 According to the Centers for Disease Control and Prevention (CDC), all girls and boys should get their recommended shots of the vaccine as early as 11 or 12 years old. Young adults who have yet to get vaccinated are encouraged to do so through age 26 for young women and 21 for young men﻿. Prevention is always better than cure, so do SHARE this with your female friends who are eligible for LPPKN's free HPV vaccination programme this year! Unlike the US, all Malaysians have the right to universal healthcare in public hospitals. The first low risk birthing centre (LRBC) was opened in 2012.